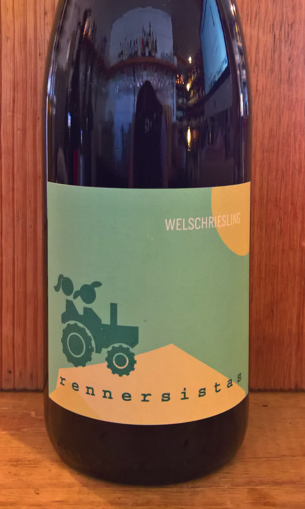 2016 Rennersistas 'Welschriesling' Dry White Wine. Burgenland-Austria. Two sisters make up this label - Susanne and Stefanie. Their parents started the family winery in 1988, and since 2015 they have slowly passed it on to their daughters. Natural winemaking is their focus. The 13 hectare vineyard is organic.